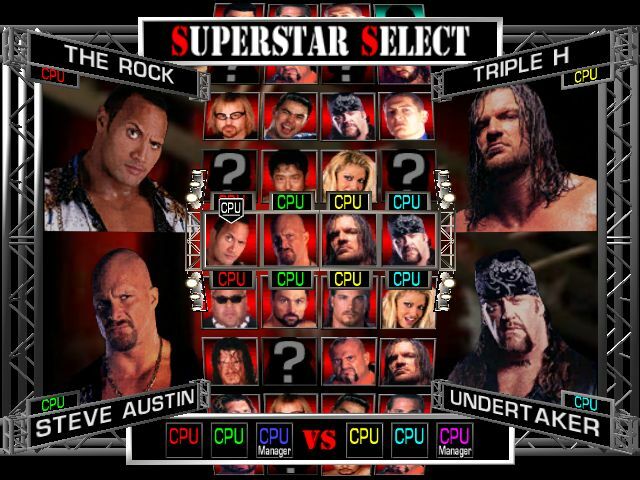 WWE Raw (WWF RAW) is a video game released by THQ in 2002. 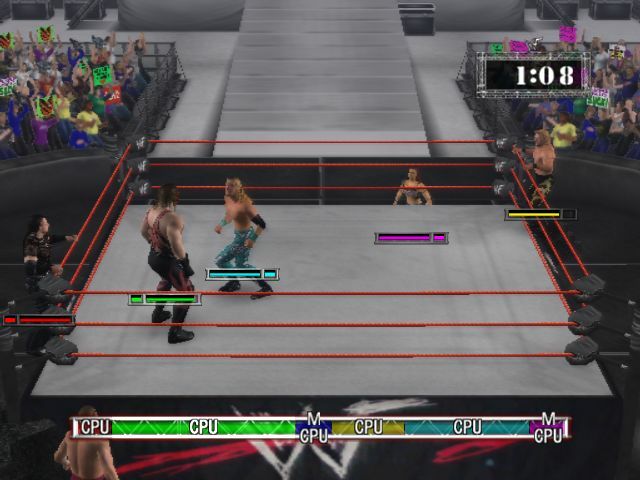 Wwe Raw game offers the players a wrestling experience with various matches like singles match, tag team match, triple threat, fatal 4 way, battle royal and handicap matches. The game has a weak/strong grapple system. There are two types of grapples: one which is done with normal opponents and other with groggy opponents. The normal grapples do little harm when compared to grapples done when the opponent is stunned. There is a voltage meter which shows the momentum of the wrestlers. Special move, high flying attacks and taunting boost the momentum while repeated attacks cost loss in momentum. Finishers can only be applied when the opponent is stunned and the voltage meter is flashing. Excessive use of finishers also cause loss in momentum. Game Modes are: Exhibition Mode, Title Match and King Of The Ring.